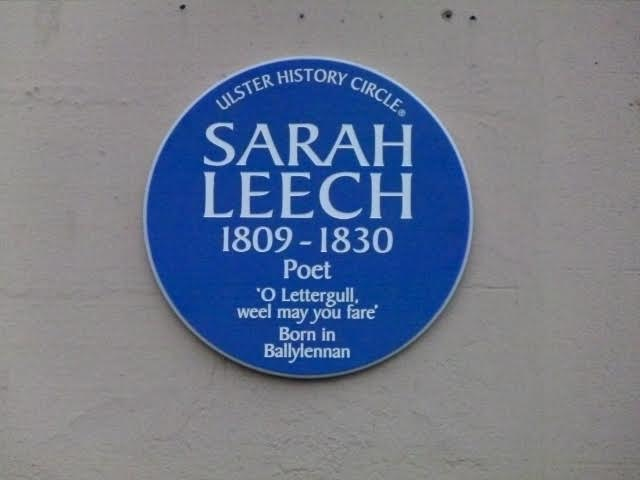 Sarah Leech, the poet lass of Lettergull, Donegal. 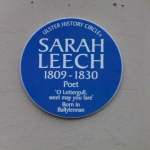 Location – William Street, Raphoe. Co. Donegal. Unveiled by Joe McHugh TD. Minister of State, Arts, Heritage and Gaeltacht.